Jeff Keicher sworn in as 70th District State Representative. Joined by community leaders, family and friends, Sycamore businessman Jeff Keicher took the oath of office at Dayton Farms on Tuesday to become the new State Representative for Illinois’ 70th District, encompassing portions of Boone, DeKalb, and Kane Counties. Keicher replaces former Representative Bob Pritchard, who resigned July 1 to accept an appointment to the Board of Trustees of Northern Illinois University. Gov. Rauner signs emergency “red flag” gun law, enacts 72-hour waiting period for all gun purchases. Gov. Bruce Rauner signed two bills into law this week that could help prevent people who are a threat to themselves or others from possessing or purchasing guns. The bills, which have bipartisan and bicameral support, are part of the comprehensive public safety plan that the governor unveiled earlier this year. At the press conference announcing the bill actions, Rauner urged legislators to get to work on other public safety legislation, including proposals that give schools the ability to hire more resource officers and mental health workers. He also used the press conference to make it clear that he will veto dealer licensing legislation (SB 337) if and when it is sent to his desk. Southern Illinois University begins process of moving onward. Randy Dunn has announced his resignation as president of the multicampus university. SIU has a historic, flagship campus in Carbondale, a full-service campus in Edwardsville, and a medical school in Springfield. Dunn had been the target of calls, led by Rep. Terri Bryant, for his ouster. The calls followed revelations that Dunn had taken steps to siphon university resources from Carbondale to Edwardsville. Calling the announcement “welcome news,” Rep. Bryant called for unity. Bryant, who represents most of the Carbondale-Murphysboro area where SIU’s historic main campus is located, had taken the lead in defending her community and the standing of the Carbondale campus by calling for Dunn’s ouster. “It also signals an end of one era and the beginning of another,” the lawmaker added. “The next president of the Southern Illinois University system should remember that they are charged with protecting and preserving the health of the entire University system as a whole.” Bryant added that she strongly supports efforts by the SIU board of trustees as they begin the search for a permanent new president. Dunn’s resignation was officially announced on Monday, July 16. Illinois created 18,100 jobs in June; unemployment rate held steady. The Illinois Department of Employment Security (IDES) has announced jobless numbers for June 2018. As with the May 2018 numbers, the State’s economic status continued to approach 4.0% “full employment.” In addition, nonfarm payrolls increased by 18,100 month-over-month, based on numbers submitted by employers to the U.S. Bureau of Labor Statistics. The net gain of 18,100 payroll jobs in June 2018 was greater than any monthly Illinois hiring increase credited to the second half of calendar year 2017 or the first five months of 2018. When all 12 months are counted, over the past year the Illinois economy has created 58,300 net new nonfarm payroll jobs. The 4.3% unemployment rate, which tied with the May 2018 mark, was the lowest unemployment rate enjoyed by Illinois in the past 12 years. Governor signs legislation codifying Department of Innovation & Technology. The Illinois Department of Innovation and Technology (DoIT), formed by Executive Order in 2016, is now officially recognized as a state agency. Gov. 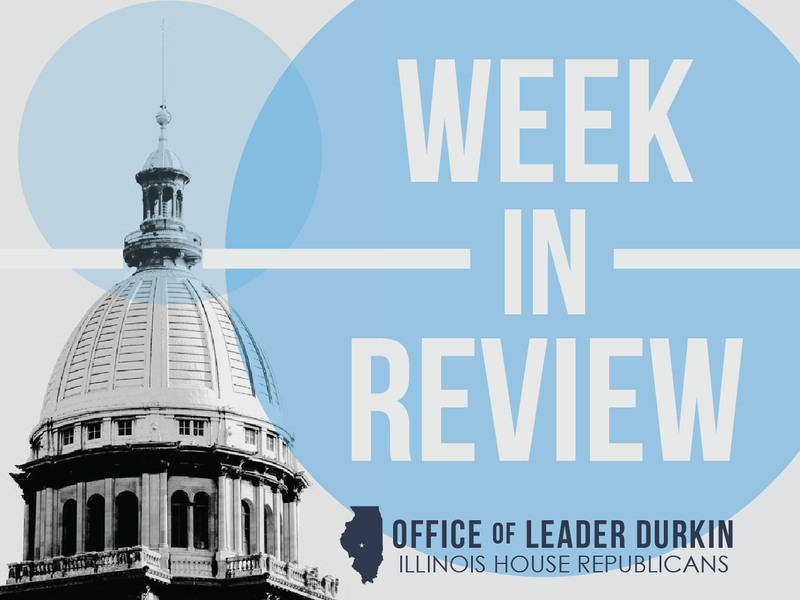 Bruce Rauner signed HB 5611 today, a bill which passed unanimously in both chambers of the Illinois General Assembly this spring, codifying the agency into law. 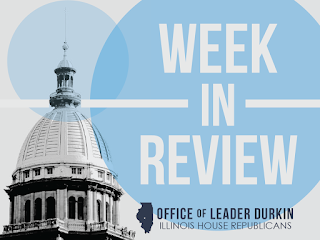 Bipartisan support for the legislation reflects the state’s commitment to improve cybersecurity, enhance employee work processes, and provide better services to Illinois citizens. Staff members at DoIT also have focused on streamlining state operations and improving efficiencies across state agencies. Over half of the state’s financials are now managed on a common system to address decades of lack of interoperability and financial management challenges.Infrastructure and network unification efforts in Illinois have already resulted in savings and cost-avoidance of over $20 million. “Improving government operations, increasing transparency, and saving taxpayer money are all goals being achieved by DoIT. This is important legislation to ensure we provide a modern and efficient government to our citizens,” said Rep. Keith Wheeler. Gov. Rauner signs Quincy Veterans’ Home bills. Gov. Bruce Rauner signed legislation Tuesday that expands the Illinois Veterans’ Home at Quincy and cuts the red tape on future construction projects, allowing the administration to move quickly to build a new state-of-the-art facility at the campus.